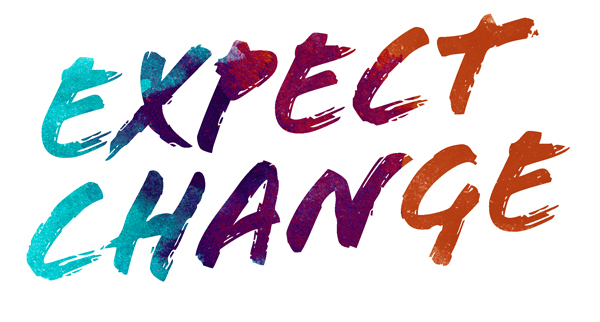 We will be honoring five individuals and organizations at the Expect Change conference. Honorees will be added to this page as they are announced. You can read more about the Booth Award here. 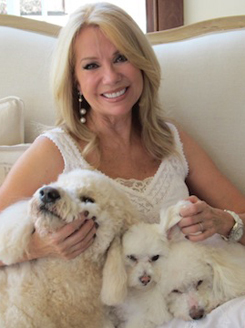 Kathie Lee Gifford has enjoyed a diverse and successful four-decade career as a television host, actress, singer, playwright, songwriter and author. Though best known for her 15 years on Regis and Kathie Lee (11 Emmy nominations), and currently acting as the three time Emmy-winning co-host of the fourth hour of the Today Show with Hoda Kotb, Gifford has always pursued projects which inspire and challenge her. In 2013, Gifford launched her podcast,”Kathie Lee & Company,” with Podcast One. Each week, Gifford is joined by a friend from the world of TV, film, music, sports and news for a special one-on-one conversation. Gifford made her Broadway debut in Stephen Sondheim’s ‘Putting it Together’ in 2000, then originated the role of Marta Dunhill in Rupert Holmes’ ‘Thumbs’ and played Miss Hannigan in a record-breaking run of “Annie” at Madison Square Garden. In 2005 her first musical ‘Under The Bridge’ (book and lyrics, contributing composer) opened off Broadway. In November of 2012, her musical, ‘Scandalous’ (book/lyrics) opened on Broadway at the Neil Simon Theater and received a Tony nomination. She is the NY Times best-selling author of many books including, “Just When I Thought I’d Dropped My Last Egg-Life and Other Calamities,” “Party Animals,” and “The Legend of Messy M’Cheany.” Her ninth book, “The Three Gifts,” was released in November 2012 with proceeds going to Childhelp. She currently writes a weekly article for the NY Daily News with Hoda Kotb. Gifford devotes much of her time to the Association to Benefit Children, which spawned the Cody Foundation. The resources from the Association continue to support Cody House and Cassidy’s Place. Cody House provides a transitional home for infants and children who have severe disabilities and serious medical problems. Named for Gifford’s daughter, Cassidy’s Place, is the home of the Association to Benefit Children’s (ABC) national children advocacy. Charlotte Jones Anderson, Dallas Cowboys Executive Vice President and Chief Brand Officer, oversees all strategies and applications surrounding the team’s brand as it is presented to fans world-wide. Working in the executive office since 1989, Anderson’s experience has enabled her to become one of the most innovative and versatile executives among women in professional sports. Her vision and direction guides the Cowboys in stadium design, fan engagement, entertainment, licensed apparel, cause marketing, and community service. Anderson also serves as President of the Gene and Jerry Jones Family Foundation and the Gene and Jerry Jones Family Arlington Youth Foundation. Anderson plays a prominent role in shaping the design, décor, sponsor integration and overall presentation of AT&T Stadium, the state-of-the-art venue that opened in Arlington, Texas in 2009. The stadium’s signature element is one of the most prominent public art collections, the Dallas Cowboys Art Collection at AT&T Stadium. Consisting of over 50 pieces of contemporary art from an international array of curated artists, the collection is displayed on the walls and in the grand public spaces of the stadium. And in 2013 Anderson and her mother, Gene Jones, were the recipients of the Texas Medal of Arts – Arts Patrons Award, presented by the Texas Cultural Trust. Under her guidance, the venue has played host to some of the highest profile sports and entertainment events in the world – among those are Super Bowl XLV, the 2010 NBA All Star Game, the 2014 NCAA Men’s Final Four, the annual Cotton Bowl Classic and the first-ever College Football Championship game in 2015. Most recently AT&T Stadium hosted the Academy of Country Music Awards, breaking ratings and attendance records. Anderson is also President of the Dallas Cowboys Cheerleaders and is responsible for supervising the fortunes and travels of what is considered to be the most prominent organization of its kind in the world. In the late 1990s, the Cowboys Cheerleaders surpassed the legendary Bob Hope in total number of USO visits made to U.S. military installations around the world. 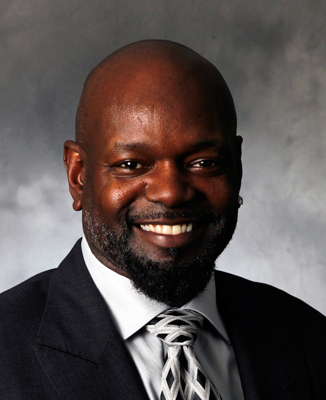 In 2012 Anderson was named Chairman of the NFL Foundation and is responsible for spearheading the NFL efforts in youth football participation, health and safety, and community outreach. She is the first woman to serve in this capacity for an NFL charitable institution and the first woman to represent club ownership as leader of a major professional sports league foundation. In 2014 she was appointed to the first NFL Conduct Committee, which will endorse and enhance the new personal conduct policy for all NFL players and employees. Anderson served as Chairman of The Salvation Army’s National Advisory Board from 2010-2014 and was the first woman to serve in that role. In 1997 she introduced a groundbreaking approach to fund-raising on the world-wide stage by focusing a Thanksgiving Day national television audience during the Dallas Cowboys halftime and the unique opportunity to kick off the Salvation Army’s National Red Kettle Campaign. Anderson set the wheels in motion, helping the Army raise over 1.8 billion dollars and touch lives across the globe by combining the Dallas Cowboys and popular musical entertainers featured on network television during one of the most watched NFL games of the season annually. Since the initial halftime presentation which featured the talents of Reba McEntire, entertainers such as Randy Travis, Clint Black, Toby Keith, Destiny’s Child, Sheryl Crow, Carrie Underwood, Kelly Clarkson, the Jonas Brothers, Keith Urban, Enrique Iglesias with Pitbull, Kenny Chesney, Selena Gomez, and Pitbull with NeYo have performed in the halftime show. Anderson’s spirit of involvement in the local community extends far beyond the realm of professional football. Since coming to the Dallas-Ft. Worth area in 1989 she has been actively involved with leadership roles in a wide range of organizations that include: The Boys and Girls Clubs of America, Southwestern Medical Foundation, the President’s Advisory Council for The Dallas Center for Performing Arts Foundation, TACA board of governors, The Salvation Army, The Rise School, Shelton School, Make-A-Wish North Texas Presidents Council, Dallas Symphony and the Super Bowl XLV Host Committee. Most recently Anderson served as chair of the 2014 North Texas Final Four Host Committee, responsible for putting on the men’s basketball championship at AT&T Stadium. She is also on the Board of Directors of Hilltop Corporation. Anderson travels across the country speaking on philanthropic initiatives and brand innovation. She is currently is working on the design of the future Dallas Cowboy’s Headquarters, training facility and event center which will be located in Frisco, Texas. A native of Little Rock, Arkansas, Charlotte Jones Anderson is a 1988 graduate of Stanford University where she earned a B.S. degree in human biology. She is married to Shy Anderson. The Anderson’s live in Dallas with their three children: daughter Haley and sons Shy and Paxton. Stan founded The Richards Group as a freelance practice after graduating from Pratt Institute in New York. His work has received awards in virtually every major competition in the world, and broader recognition has followed. He was chosen by the Dallas Society of Visual Communications as “the single individual who, over his career, has made the most significant contribution to the advancement of creative standards in the Southwestern United States.” His alma mater, Pratt, honored him with a Distinguished Alumnus Award. The leading trade magazine, Advertising Age, featured Stan as a cover story; he was included in The Wall Street Journal’s “Giants of Our Time” series and named an Entrepreneur of the Year by Inc. magazine. The University of Texas honored Stan with its Reddick Award for leadership in communication, preceded by previous honorees Walter Cronkite, Ted Turner, and Bill Moyers. 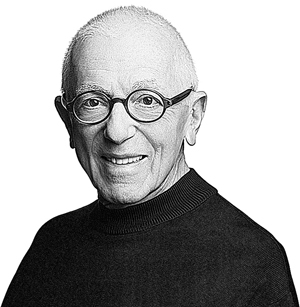 Southern Methodist University announced the Stan Richards Creative Chair and, in the same year, Stan received the AIGA Gold Medal, the award for career achievement in design. In 1999, Stan received the highest honor available to a creative with his election to the Art Directors Hall of Fame, joining such luminaries as Walt Disney, Norman Rockwell, and Andy Warhol. And just last year, the University of Texas renamed its nationally recognized advertising program the Stan Richards School of Advertising & Public Relations. In addition, Stan serves, or has served, on many boards: The Salvation Army, Episcopal School of Dallas, YMCA, Cooper Aerobics Enterprises, Dallas Symphony Association, United Way, the Creative Committee of the 4A’s, Pratt Institute Board of Trustees, and the Mayo Clinic Center for Innovation. Apart from business, Stan’s interests include skiing in Utah and fly-fishing the backwaters of Laguna Madre. He is an avid runner, having logged 45,000 miles.